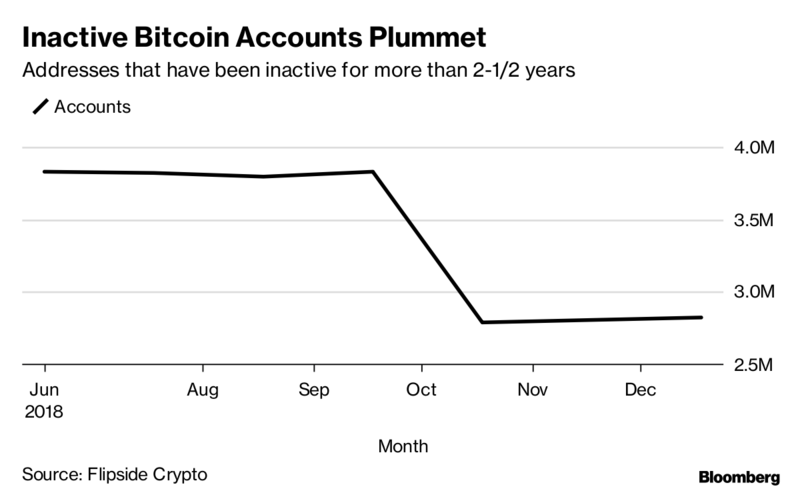 Overlooked amid a resumption of digital-asset market volatility is a resurgence of activity by anonymous owners of long-dormant Bitcoin accounts that suggests more dramatic price swings lie ahead. Starting in October, a large number of holders who hadn’t touched their Bitcoins for between six months and more than 2-1/2 years began moving their coins, according to analytics provider Flipside Crypto. The trend has continued since the start of the new year, with so-called digital wallets that have been active in the last 30 days now holding about 60 percent of the circulating supply, the Boston-based firm found. The supply of active Bitcoins has risen 40 percent since last summer, according Stone. Similar wallet activity preceded large price swings in 2015 and 2017. Whether they’ll be buyers or sellers remains to be seen. However, as Stone points out, such a behaviour preceded the phenomenal rally of 2017. Two years ago, the uptick foreshadowed the surge that took the coin’s price to a record high of almost $20,000 toward the end of the year. Bitcoin has since slumped to around $3,650. The concentration of ownership is what makes the activity so potentially market moving. 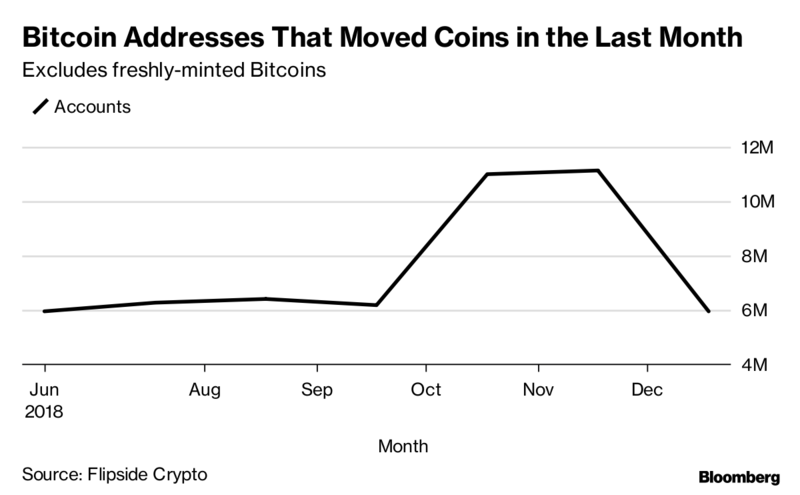 Often referred to in the industry as whales, about 1,000 addresses control 85 percent of all Bitcoins, and include many early investors that have remained relatively inactive during the stratospheric price surge and collapse of the past two years. “We’ve definitely seen that many long-time holders of Bitcoin are becoming active," said David Balter, chief executive officer of Flipside.